NOTE–This is prep for the upcoming Postdoctoral Research and Career Symposium. Register today and submit your resume asap! See more on the symposium website. The Postdoctoral Society of Argonne and the Postdoctoral Program Office present a Career Workshop, Thursday, in the TCS Conference Center (Building 240, Room 1416). Lunch will be served at 11:45 AM, with workshop from 12:00 to 1:30 PM. How do you make your CV and Resume rise to the top of the pile? What will make hiring managers and search committees give you a second look? This workshop will present strategies and guidelines for crafting highly effective job application documents. Content will include best practices for both academic and industrial job markets with a focus on evaluating your own CV, resume or cover letter objectively from the perspective of an employer. Participants are encouraged to bring a working draft of a CV and/or resume. Please register by August 30th through the RSVP link. 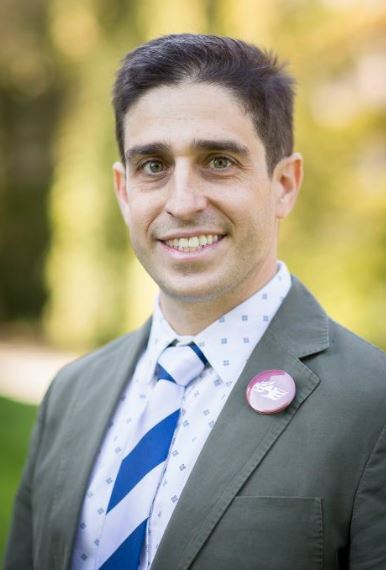 Michael Tessel is Director of Graduate Career Development & Employer Relations at UChicagoGRAD, an office dedicated to helping scholars navigate their graduate and postdoctoral careers. He leads a team of seven career advisors and oversees employer outreach efforts. Prior to his current role, Michael served as the primary advisor to graduate students and postdocs in the physical and biological sciences at UChicago and has led dozens of workshops on topics including resumes, cover letters, networking, interviewing and negotiation. He also serves as the Navigator for the NIH-sponsored career development, myCHOICE, to enhance career preparation for graduate and postdoctoral scientists. Michael received his PhD in cancer biology from Northwestern University and worked as a postdoctoral scholar at University of Illinois at Chicago before starting his current role in January of 2014. This entry was posted in Career Corner, Events. Bookmark the permalink.